Links to State Revenue/Tax Department websites where individual and business tax forms can be quickly downloaded. 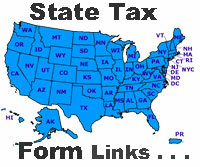 Note, most all states utilize adobe pdf format for downloading and printing tax forms. See the adobe website for information on the latest acrobat (pdf) reader software. Many states have various options to file and pay taxes over the internet or through electronic filing providers. 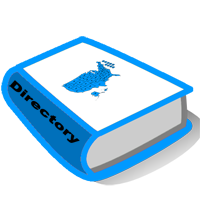 FTA provides links to state websites listing the different efile options. FTA provides several ways to compare state tax levels, including the typical household approach taken by the District of Columbia tax burden study. 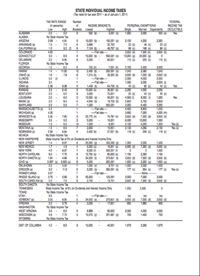 This study calculates the taxes paid by a typical household of four. Check out our meeting page for presentations from past meetings and future conferences. FTA provides opportunites for businesses to show their wares as exhibitors and sponsors at most of our conferences. Information is coming soon. To help businesses and payment processors, FTA has teamed up with NACHA to create a portal website deseminating information on changes to state electronic format for business tax payments.